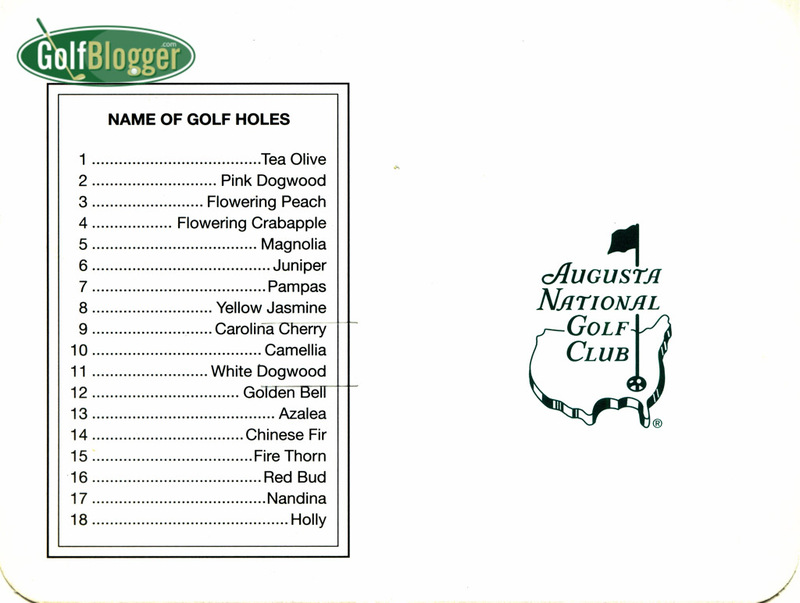 A few years ago, an acquaintance who has connections to The Masters tournament gave me this Augusta National Scorecard. It is not a Masters souvenir, he pointed out, because it does not have a Masters logo on it like other Masters gear. Unfortunately, his Masters connections in no way will be able to get me a tee time in Augusta. As with everyone else, I will just have to enjoy it on television. I am always struck by the card’s simplicity. Really, only two tees? 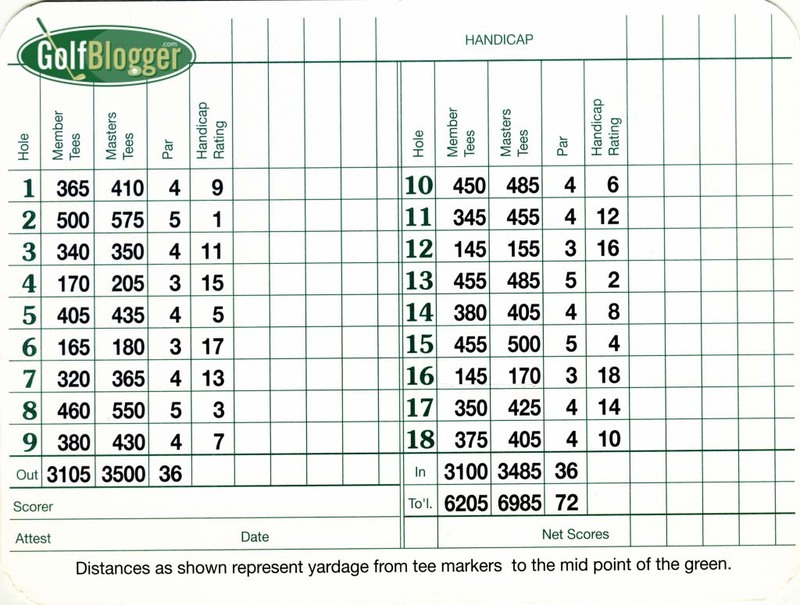 Given the elevation changes and the relative age of Augusta members, you would think there would be 5000 yard tees as well. Interesting that the par 5s are all the hardest holes. Given that ratings are done for a scratch player from the back tees, you would think 485 & 455 yard par 4s might be just a tad more difficult than 485 & 500 yard par 5s. Also the site of the blowups for #1 and #2 (Jason on #16 Thursday & Jordan on #12 Sunday) – occurred on the two easiest holes on the back (and if it wasn’t for the flip/flopping way that handicap is done, then 12 & 16 are probably the two easiest on the course).